> Rest easy Blue Jacket fans, it won’t be your Steve Mason won’t be playing for the RedHawks (not that he would be allowed/want to anyway.) 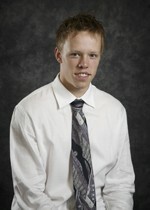 Nanaimo Clippers forward Steve Mason has committed to Miami and will be joining the team this fall, in 2009. Mason, 21, is from The Netherlands, making him the first Netherlander in the program’s history; the Tilburg native is 5’11, 172. He had 22 goals and 22 assists in 63 games with the Clippers of the BCHL this season, including 9 on the power play.